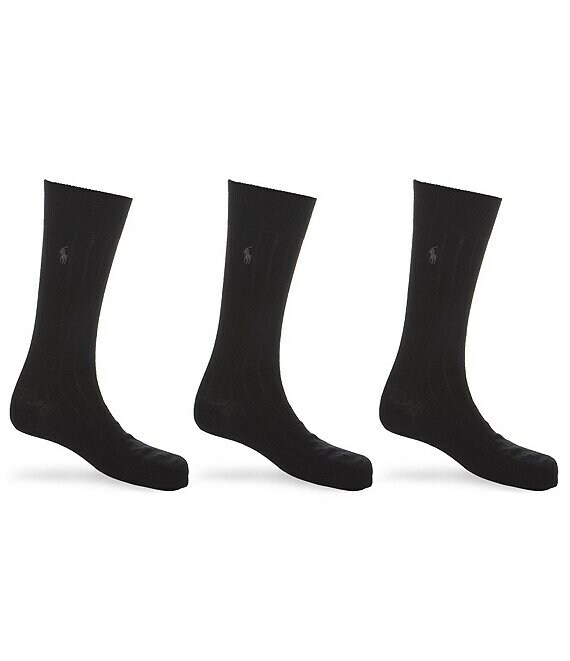 These socks feature wide ribbing with polo player embroidery on the calf. The black and navy 3-packs include three of the same color, the brown assortment includes tobacco, brown and dark olive, the charcoal assortment includes charcoal, navy and black. Of acrylic/merino wool/polyester/spandex/rubber. Imported.